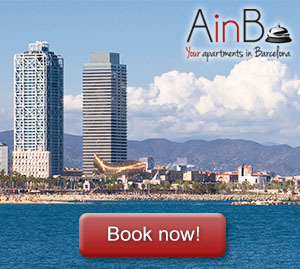 Barcelona is one of the most demanded touristic destinations during the summer months, and this is because of its warm Mediterranean weather, its incomparable beauty and the wide range of activities we can enjoy in this amazing city. If you are spending a summer weekend in Barcelona, there are plenty of spots you should visit and experiences you should live: the multiple jewels of Gaudí around Barcelona, the unique charm of Gothic Quarter or El Born, the Mediterranean atmosphere of La Barceloneta… It is impossible to collect all those experiences in just two or three days, but here you have some great cultural plans for a summer weekend in Barcelona. Going to the cinema is always a great plan, but how about if we enjoy the best films together with music concerts in a unique stage such as a beautiful fortress with panoramic views of Barcelona and Mediterranean Sea? It sounds like heaven, doesn’t it? Well, here we are talking about Sala Montjuïc, an open-air film festival in the Castle of Montjuïc. It provides a selection of the best movies of all times, with concerts, picnics and short films. So, take note of the dates: from June 29th to August 3rd. Do not hesitate to walk up to this amazing stage from your apartment in Eixample and enjoy a complete cultural evening. Do you prefer beaches than mountain? Don’t worry! Barcelona also offers cinema in the beach. This way, every week there is screened a free sample of independent film on the beach of San Sebastián (Barceloneta). Additionally, Cinema Lliure (Free Cinema) is not only watching a movie on the beach. It’s a meeting place, a discussion table and the perfect environment to enjoy the cinema as you like and with whom you decide. We come back to Montjuïc. This time, to the gardens called Joan Brossa. There, an electronic music festival is celebrated during the months of July and August. Brunch in the Park is the name of this amazing event where some of the most famous DJs all around the world will be present. Carl Cox, Loco Dice, Vitalic, Marco Carola, Richie Hawtin, Laurent Garnier are some of the artists of this festival. Additionally, Brunch in the Park also offers children’s activities and gastronomic proposals to enliven the most alternative Sundays in the city. Music in the Parks includes 49 free concerts around thirty green spaces in the city and is on from 2 June to 30 August. Every year the city’s green spaces fill with music thanks to this wonderful initiative. This year’s edition of Music in the Parks includes 49 concerts in a variety of styles, such as classical music, jazz, blues, choral groups and school-music and orchestral groups. So, do not hesitate to visit Barcelona during this summer because, as you just read, the cultural proposal of the Catalan capital is unbeatable!